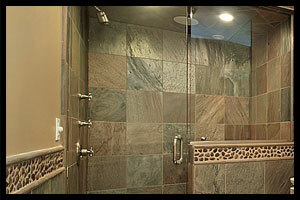 Our goal is to design, fabricate, and install the finest shower enclosures available anywhere. 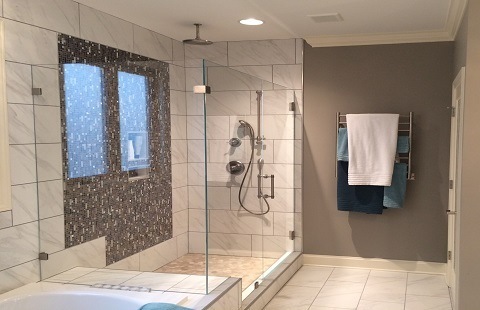 Whether you are looking at shower glass options for a tile area, or a tub we will meticulously craft an enclosure to perfectly fit your application. Please visit our showroom for ideas or contact us to schedule an in-shop or on-site consultation. 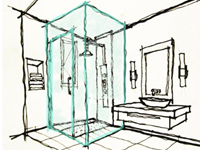 We offer glass for mostly every option around your home or business. Please visit our showroom for ideas or contact us to schedule an in-shop or on-site consultation. Have a project idea you want to discuss? 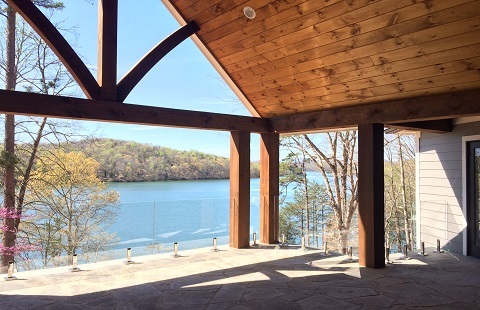 Located in West Knoxville, we work with Builders, Architects, Designers, and Homeowners to create their vision into a reality. Please visit our showroom for ideas or contact us to schedule an in-shop or on-site consultation. Have a project in mind? Call 865-392-1515	Click to contact us! Creative Reflections designs quality custom mirror and glass projects with style and function for the home or workplace. 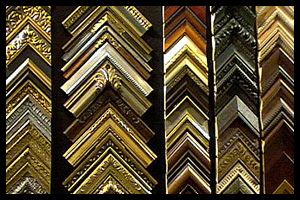 Custom mirror framing offers endless options while choosing from the many styles of decorative frames we offer. 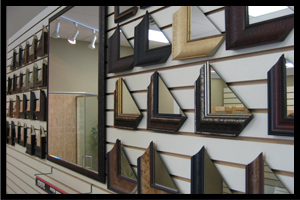 Creative Reflections offers countless framing styles, colors, and widths for your unique mirror concept. 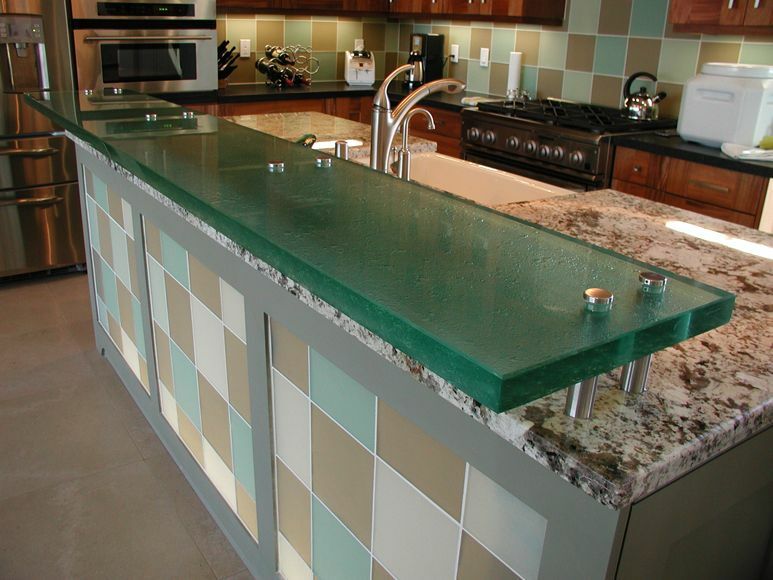 We have a large selection of styles and types of glass, and we also offer them in many different colors! We welcome you to visit our showroom, to see our examples! Mirrors provide many benefits such as enlarging any room by naturally reflecting light creating a sense of openness. Our mirror products are available in many different patterns and they can be custom cut to almost any shape and size that you need. The Creative Reflections team accepts all projects as a creative challenge. The applications for mirror and glass are endless and as the glazing experts, we know how important design is to the overall image of a space and are happy to assist our clients on any size project. Whether it is a replacement cut, table top glass, glass shelving, custom mirror, furniture application, shower, glass countertop, glass partition wall, or a glass guard railing, our goal is to provide every client with an exceptional experience resulting in a stylish and functional mirror or glass display. Creative Reflections is located in Knoxville and welcomes all East Tennessee clients. Our facility includes a showroom and fabrication space. Clients can visit our showroom for ideas or contact us to schedule an in-store or on-site consultation. Our team is happy to get the opportunity to take a look at the project and vision that you have in mind, whether it be a custom painted glass countertop, a floor to ceiling standing mirror, or a glass enclosure for your tile shower, we can help make your vision a reality.